Studio City /Newsdialy/ On June 20, 2018, around 4 p.m., Los Angeles police officers responded to a radio call of a theft that had taken place near the 12100 block of Ventura Boulevard. When officers arrived to the scene, they were informed about a suspect entering the business to get a manicure and pedicure done. As she was receiving the treatments, she took notice of the victim's wedding and engagement ringwere laying on the side tray. The suspect then took the ring, concealed it in her hand, and eventually placed the stolen object into her purse. The suspectthen paid for her treatment and promtly left the business with victim's property. 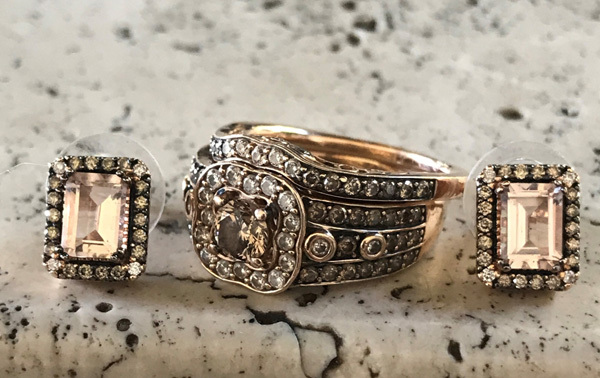 If you have any information concerning the location of the suspect or the stolen ring pleaese contact Detective Joseph Hampton, North Hollywood Theft Detectives, at 818-754-8377. During non-business hours or on weekends, please contact 1-877-LAPD-24-7 (877-527-3247). Anyone wishing to remain anonymous should call the LA Regional Crime Stoppers at 1-800-222-TIPS (800-222-8477) or go directly to www.lacrimestoppers.org. Tipsters may also visit www.lapdonline.org, and click on "Anonymous Web Tips" under the "Get Involved-Crime Stoppers" menu to submit an online tip. Lastly, tipsters may also download the "P3 Tips" mobile application and select the LA Regional Crime Stoppers as their local program.